Attention all you West Coast Barkistas (and significant others of animal lovers): this Valentine's Day give a gift that gives back! 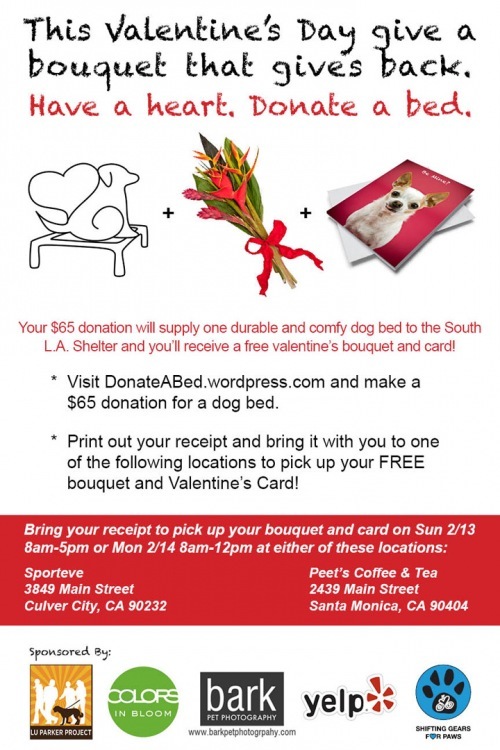 Journalist Lu Parker, Peet's Coffee & Tea, Bark Pet Photography, Shifting Gears for Paws, Colors in Bloom, YELP!, and Sporteve are joining forces for good this Valentine's Day! Their goal is to provide 140 dog beds to the deserving pups at the South LA Shelter. For a donation of $65 (the cost of a dog bed), you will receive a beautiful Valentine's Day Bouquet and card. Simply bring your receipt on 2/13 to either Sporteve or Peet's Coffee & Tea to pick up your thank you. Seriously-- what a great cause that solves the problem of finding the perfect Valentine's Day gift, while making life better for pups in need. Kudos to all of those invovled. Visit DonateABed.Wordpress.com for more information. p.s. Even if you're not on the West Coast, we're pretty sure this is a gift that will go over well with any Valentine (HINT....). We are so excited to share with you our first-ever video review! We checked out the Juicy Couture Cheetah Dog Bag-- watch the video below, our check it out on our YouTube channel. This is our first attempt at ever doing anything like this, so we hope you enjoy! Straps that are long enough to comfortably carry the bag over your shoulder. Big enough for a small dog, travel pillow and blanket. Didn't see the bag in stores-- had to purchase ours off of Ebay (though at the end of the day, you'll probably get a better deal there). Most likely not airline approved because the bag does not close totally. Zipper part of the bag sags unless you keep the straps totally taut. Overall, we're really pleased with our purchase and can't wait to take it out on the street. Not question: it's definitely going to be a conversation starter. What do you think? Would you like to see more video reviews? Ok. So I know we featured something from Henri Bendel last week for #ThursdayBling, but we stopped by the store this past weekend and HAD to feature this blinged out leash after seeing it in person. It is FABULEASH! Really, this picture doesn't do it justice. Though we're not talking Swarovski crystals here, the glass beads look diamond-esque in person. Unfortunately, this adjective does not apply to the leash when taken in context with our budget… and thus we could only gaze lovingly at it in the store. 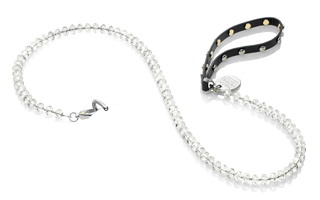 However, if you have a spare $298, you can pick up your Fabuleash from Henri Bendel in store or online. Send us a picture so that we can pretend it's ours? Please? We also saw a version with pearls, but come on-- go bling or go home! 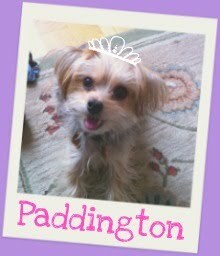 With Valentine's Day right around the corner, it's time to start thinking about the perfect present for our furry little Valentine (Paddington… of course…). As Paddy is the reigning heavy-weight toy destroyer of the tri-state area (you don't want to know what happened to last year's stuffed bunny toy), we're leaning towards something that isn't filled with fluff this time around. Honestly, what says Valentine's Day more than faux fur and pink hearts? Perfect for the pooch that loves to snuggle, this cuddly Trundle bed converts into a teacup bed, travel mat or sleeping bag. While we're really partial to the pink hearts, you can also grab it in a variety of other patterns. 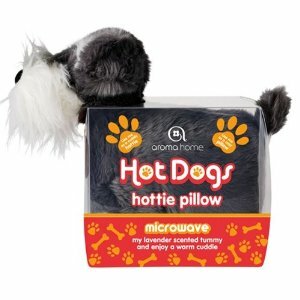 Pick yours up from Muttropolis for $60 (does not come with chew toy). Will you be sending your pup a Valentine this year? Bling out your pup's blowout. 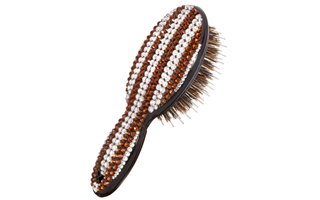 For the doggy who has ABSOLUTELY everything, we suggest the Henri Bendel's Swarovski Dog Brush. Featuring Swarovski stripes in the classic HB brown and white colors, and bristles that look like they could rival our beloved Mason Pearson, we're kind of obsessed with this indulgent grooming tool. Apparently you can put a price on fabulousness, and that price just happens to be $98. 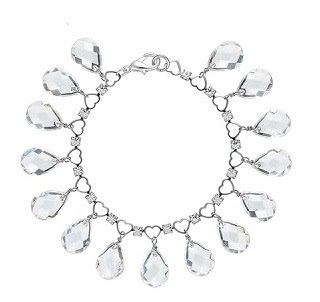 Available from Henri Bendel. Fact: It is 18 degrees fahrenheit outside. Which is why we really wish WE could be toted around in a human version of the Pet Flys Snuggle Bug. 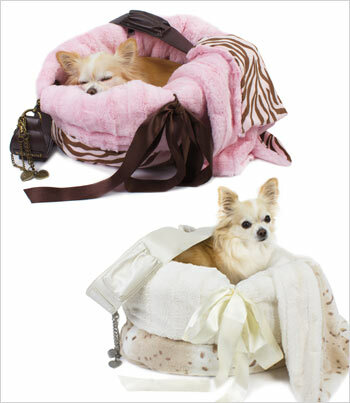 This reversible faux fur Snuggle Bug includes a matching pillow and blanket, and is a bed, carrier AND car seat in one. With a 36" strap, it can be worn across the body or on the shoulder. Available in a variety of prints (we're partial to the snow leopard one), it holds a pooch up to 16 lbs. Alas.... there is no human-sized option...and thus it is time to bundle up as we head off to do errands. 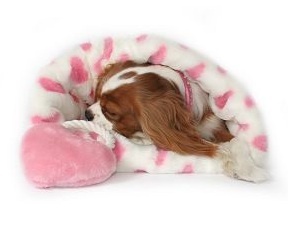 Purchase your Snuggle Bug from GW Little. Here at Barkzilla, we're more downtown than UES (aka Upper East Side), and we pretty much stick south of 42nd street. On the rare occasion when we stray uptown, one of our favorite stores is Henri Bendel. 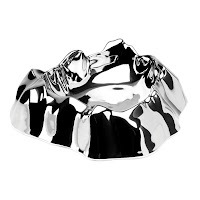 Seriously, it's like Disney World for fashionistas and Barkistas alike: headbands, jewelry, fun accessories, makeup…. it's probably a good thing we don't live closer. In advance of planned visit this weekend, we headed over to their website to scope out the goods, and spied these darling dishes! 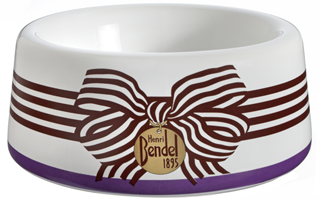 Made in Portugal, this earthenware bowl features the iconic Henri Bendel brown and white colors adorned with a gold plated "dog tag". Definitely Barkista bark-worthy! We assume they're probably available in store, but if there's no visit in your near future-- stop by their website to snag yours for $30. For the pup who likes to dine all-fancy and stuff, we present Gaia & Gino's Wild Rock Water Bowl. Totally bling and questionably functional. Spotted over at Modern Dog. The Power Collar: every Barkista should have one. While us humans are able to fill our wardrobes with power suits, power ties, power shoes (Louboutins, obvi!)... the power pickings are a little more slim for your pup. Fortunately, company Vonderbitch is here to ensure your pooch is appropriately garbed for any dog park boardroom situation. 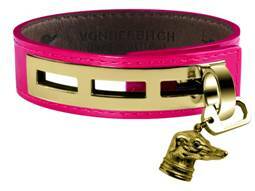 Fashioned from 100% Italian leather and adorned with polished 23k gold plated stainless steel hardware, Vonderbitch offers its stylish leather collar in a variety of colors and textures. It can also be transformed into a human-wearable cuff (that is, if your pup can be convinced to let you borrow it). Available directly from Vonderbitch for $150. #ThursdayBling in 2011 with this gorgeous piece of "ice" for your pup. 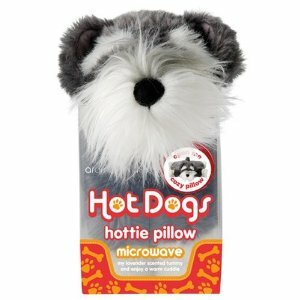 Seriously, do they make this in human sizes? Pick up the CeCe Kent Miami Rhinestone Necklace directly from Haute Pup's website. We took a break over the holidays, but now we're back with lots of fun new finds for the new year! Our first pick is inspired by the little trip we recently took to Paris-- check out this adorable "Mademoiselle" bowl set from Bijou Dog. We love the ultra-feminine pattern and the fact that the water bowl is designed with the dainty "Mademoiselle chien" in mind and features a smaller opening that holds your pup's "bangs" out of the water. The food bowl is also on the shallow side to accommodate petite diners. In addition to bringing you and your pooch joy, Bijou Dog also donates a portion of their proceeds to a rotating group of charities which have included The Peninsula Humane Society, Paws with a Cause and the Delta Society. PIck your dish up from Haute Pup ($50 for the set of two dishes).